It takes more than a classroom to educate students. In reality, spaces to support extracurricular activities like athletics, music and the arts are equally important to a well-rounded education. 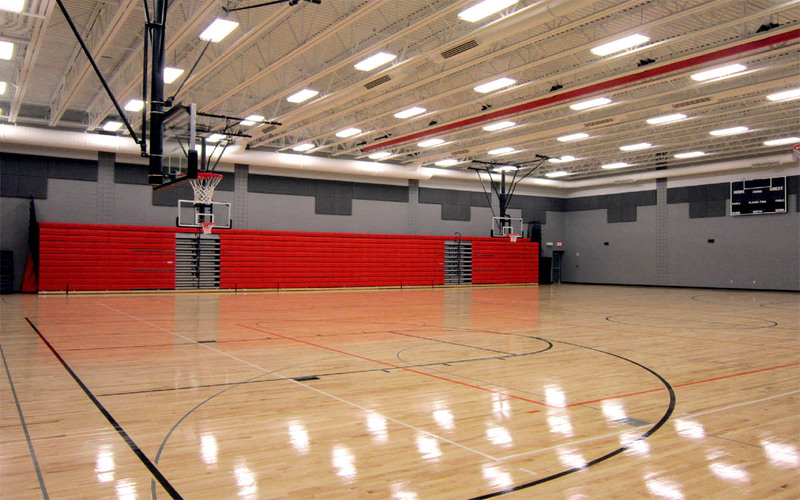 In 2011, West Plains Engineering teamed up with Architecture Incorporated out of Sioux Falls and the Dell Rapids School District for an addition to the community’s middle and high schools. The 22,000 square foot space was to accommodate the art, industrial arts and band departments, as well as housing a gym, weight room, locker rooms and a wrestling room. Each learning environment presented its own unique engineering features – from fluorescent high bay lighting in the sports areas to a welding exhaust and dust collection system in the shop. Our designs considered the needs of students and educators in each space down to the smallest details like programmable radiation in the wrestling room for optimal practice temperatures. The finished product was a success, and Dell Rapids school recently asked our engineers back for more work to the locker rooms, as well as administrative spaces and the addition of three science classrooms. The result is a facility that will support the success of Dell Rapids students in all areas of learning for decades to come.